Inking on the Edge: My Favorite Things...May Release - New Product Tour...You're My Home Run! My Favorite Things...May Release - New Product Tour...You're My Home Run! Whoo hoo!!! 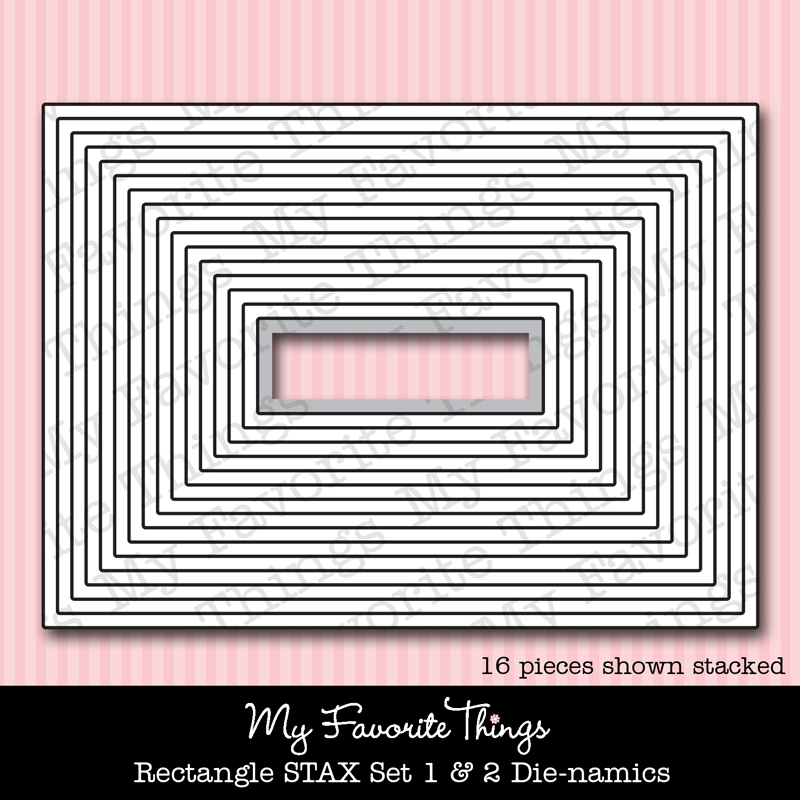 it is the time we've all been waiting for....It is MFT release night and all the Brand Spankin' New Stamps and Die-namics are now available. 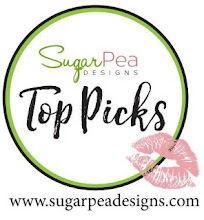 Before you run off to do your shopping, we have a little New Product Tour hop for you, that means blog candy has been hidden somewhere along the line! 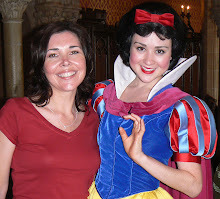 Be sure to leave comments as you visit for your chance at the prize! 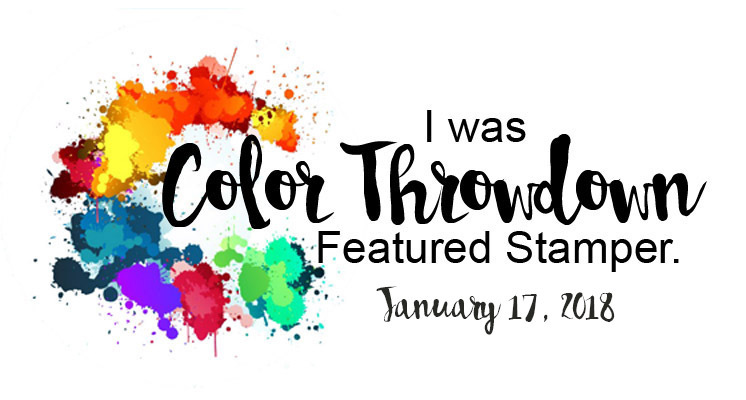 Now, head on over to Kim's blog to see a list of all the New Stamps and Die-namics that are being featured for the New Product Tour by the MFT Designers!!! 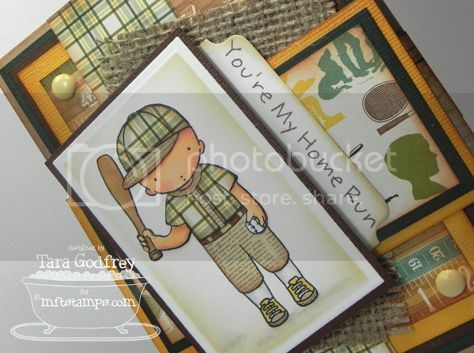 I am featuring this super cute PI Baseball Boy and I teamed him up with Echo Park Paper Co. 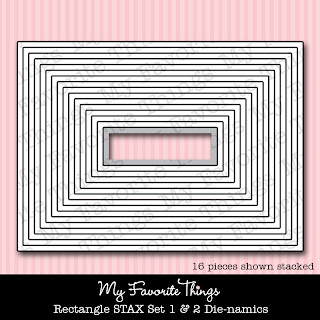 This & That Charming 6x6 papers. I coloured him with my Copics and did quite a bit of paper piecing here...I even pieced his bat from some wood-grain papers in this pad. I cut the image with the New fabulous Rectangle STAX Die-namics and made a thin mat too. I also inked around the image with Old Paper Distress ink to add some shading. I decided to add a little texture to the card and cut the burlap material with a large Rectangle STAX Die-namics die and then just pulled a few of the threads to make it look a little more worn. 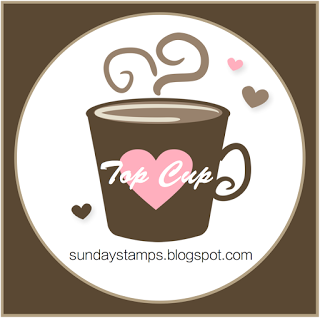 The sweet sentiment comes in the set and is stamped on white cardstock cut with the File Tab Die-namics. Here is the inside of the card...I stamped the PI Baseball Boy again and this sentiment is from the fabulous new Pure Innocence All Occasion sentiment set....a must-have for PI fans as the sentiments are in the coordinating PI Font and are all the perfect sentiments that you will need to enhance you PI collection. 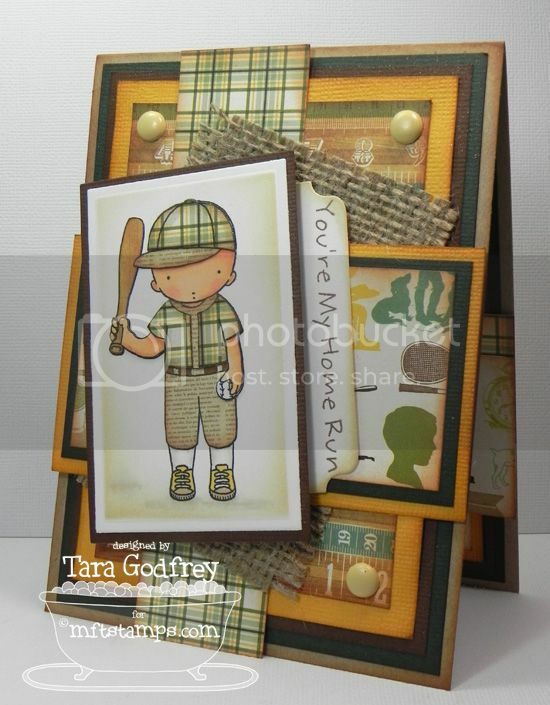 Well, thanks SO much for stopping by and having a wee peek at my card featuring this super cute Pure Innocence Baseball Boy and the All Occasions sentiment set that are now available with all the new Stamps and Die-namics from MFT. 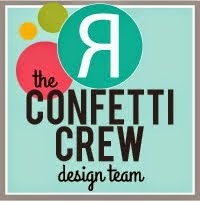 Don't forget to swing on over to Kim's blog for the links to all the other MFT Designers on the New Product Tour! Excellent card!! I love the paper piecing that you did! aw, i so love this!!! looks like an old timey ball player! Really like all the layers. This is too cute. Oh love this card!!! Love the colors and the sentiment!! Aren't these adorable. Love the fabric piece you added. OMG! Your paper peircing and design are so adorable, I love this. This card just rocks in a million different ways. Just love love love it. Great card Tara.Like the different textures. Adorable card! Love the papers you used. His little outfit is too cute! Oh, I love your card. Such a sweet image and the papers are perfect. Great job paper-piecing the image. love this card...love how you paper pieced his uniform and all the great papers layered...love it! Tara your card is so cute! Love the layer and the papers you used! His outfit is so adorable. Great card inside and out! This is one adorable little dude Tara, and your paper piecing is perfection!!! Great card...love how you created different textures with the burlap. What an amazing card! I love all the paper piecing, the papers and that burlap adds the perfect touch! TFS!